1) Follow @JaniceAdore on Twitter and Retweet “Win Tickets for Beyoncé” tweet. 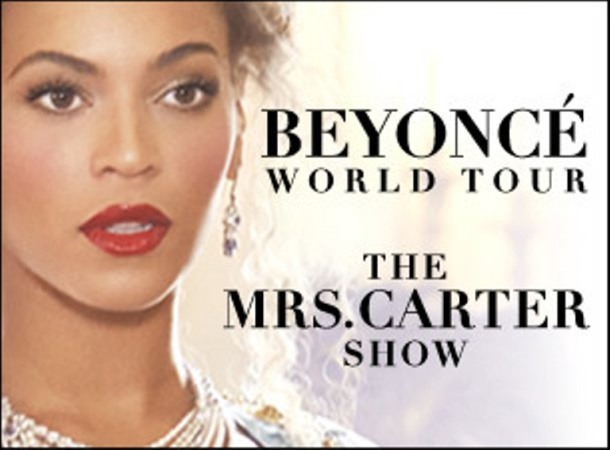 2) Like “Janice Adore” on facebook and like “Win Tickets for Beyoncé” post. 4) Leave a comment below on this post and tell us: Why do you want to attend Beyoncé’s concert. Please leave your email address so we can contact you, if you’re the winner. Winner will be contacted via email on Sunday December 15, 2013 after 9pm. Seats are lower level, visit the Air Canada Centre website for details. Good luck! I’ve been following her from day one since Destiny’s child to the queen that she’s now. It’s one of my wish for Christmas. Her new album is on fire. It would be dream come true. Beyonce is beautiful for so many reasons. Of course, she is a gorgeous woman on the outside, but it is her internal qualities that makes her such a beautiful person. She is such a powerful person in the music industry, but she does not let her fame make herself lose sight of who she truly is. She is a kind, caring and incredible mother, and her maternal abilities are admirable. The thing I love most about Beyonce, and in my opinion truly makes her beautiful, is her confidence and ambition. Her work ethic is incredible and she is a huge inspiration for me. She has shown me that working hard really does pay off in the end, and that anyone has the power to be confident. Her strength has made me stronger and has made me want to be a better person and reach my goals. Love you Bey!